Wedding entertainment surely is a major bone of contention at every wedding. What to include and what not to? Why not try something different, something which is easy to organise and still easy to the eye. 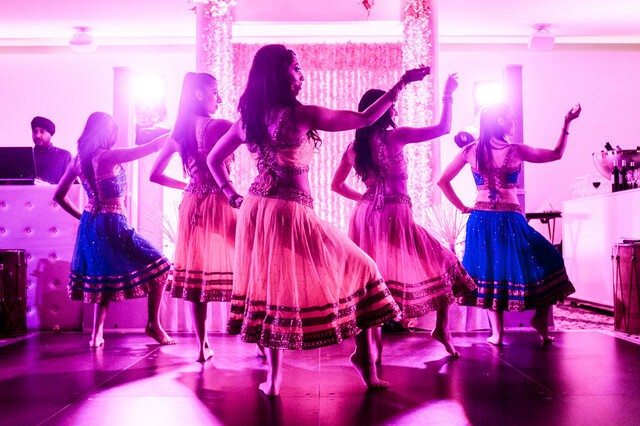 If you are looking for a budget friendly wedding, there are a ton of super offbeat and inexpensive wedding entertainment ideas that’ll make your guests remember your wedding for years!We present a host of ideas that you can incorporate this wedding season and keep the party going! A sketch artist is a professional who gels into the crowd and catches them at their happiest moments, sipping a drink, talking to friends and embodies it on a piece of paper. A sketch artist can caricature between 25 and 30 guests over a two-hour period to help get the laughs going and provide the perfect icebreaker to help friends and family relax on the big day. It is a trend which is slowly catching speed. You heard that right. Walking down the aisle for the first time as husband and wife should be a real celebratory moment. We say you should try something different! Why not involve as many guests as possible for a flash mob – it will be a scene straight out of the movies. It will keep your guests busy as well. Make your guests feel as if they’ve come to witness a spectacle. With elaborate fireworks in different colors. No, we’re not talking about the ones you use on Diwali. Many brands offer simple indoor fireworks that serve as the perfect backdrop for the cake. They are available in many attractive colors. It’s an entertaining reception game where guests, who volunteer for it are supposed to find some already hidden items in the surrounding area. The one who finds the most, gets some special gift. The guests get to explore the whole venue and interact with each other while you play the perfect host. Don’t let your guests just sit idly for hours. Involve them in some lip syncing on their songs – Bollywood, English or anything else they’d like. Karaoke is the trendiest of wedding entertainment ideas today. Turn the last couple of hours of your reception into a live band show.